Female Stay On The Top Of Mountain Under Sunlight. Royalty Free Fotografie A Reklamní Fotografie. Image 50688080. 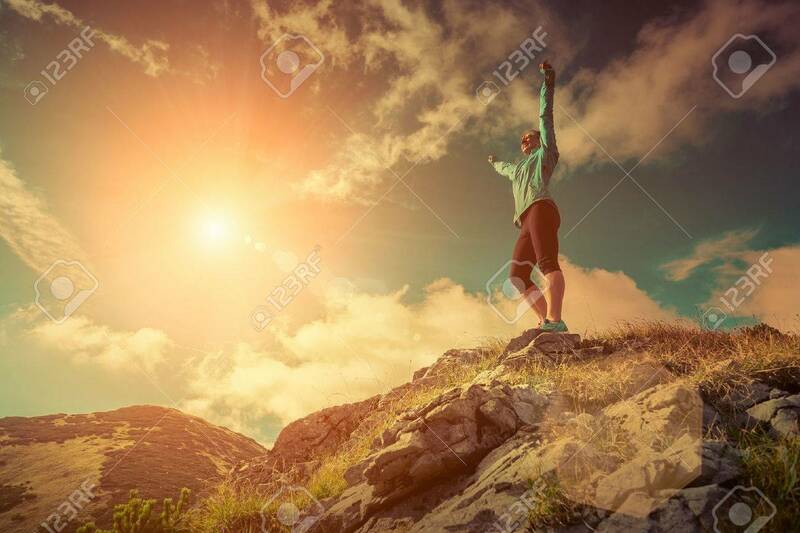 Reklamní fotografie - Female stay on the top of mountain under sunlight. Female stay on the top of mountain under sunlight.